Family founded and operated, Jarvis Heat & Air, LLC makes your business our business. We personalize our approach, determining the specific requirements of your facility, as well as your current and future goals, to create the ideal strategy. From new installation and modernization of outdated equipment to cost-effective maintenance and prompt repair, our team exemplifies professionalism and quality. Light Commercial HVAC Services You Can Trust! Light commercial projects create specialized challenges for design, application, efficiency, and durability. Know that our team is prepared with the training, experience, and state-of-the-art technology to achieve your highest expectations. At Jarvis Heat & Air, LLC, we recognize the impact of HVAC performance on health, safety, comfort, productivity, and your bottom line. Through expert services, we make sure heating, cooling, and air quality equipment is an asset rather than a disruption. Call our team today for commercial heating & cooling services throughout Gainesville, FL and surrounding areas! On time, on budget, and always on-call, Jarvis Heat & Air, LLC provides accommodating scheduling and 24/7 Emergency Service throughout Gainesville, FL. 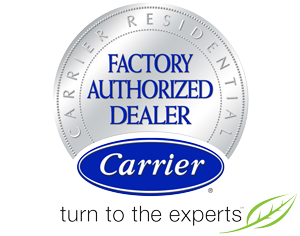 As a Carrier Factory Authorized Dealer, we offer top-rated, exceptionally efficient commercial air conditioning, heating, and air quality equipment to meet any demand. We guide you through the many options, handle proper installation, and along with maintenance and repair of all makes and models, provide duct cleaning, sealing, and repair.